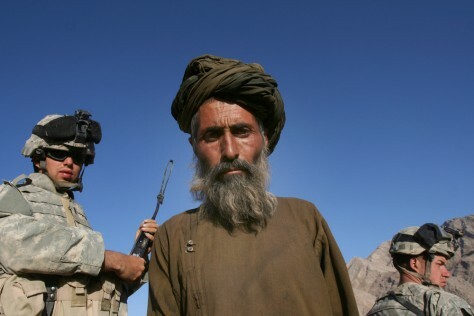 Lt. Will Felder, left, after talking with a villager in the southern province of Helmand, on June 21. The soldiers were on a mission in support of Operation Mountain Thrust, an offensive to root out Taliban militants in southern Afghanistan. From generals to ground-level lieutenants, the U.S. military here has the same plan for success: Extend the reach of the Afghan government.